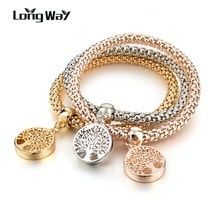 Bracelets are beautiful and with all custom jewelry don’t wash dishes while they are on and keep in plastic (sandwich bag) to preserve it longer. Exacto a la foto y el vendedor 100% recomendable. Llego en tiempo récord. Beautiful. I liked so much! I love this store, really! :-) every order I'm so happy that bracelets are so beautiful but for now I am surprised because I order 8.3. and today is 23.3. great great great, big thank you!!! It is very nice and seams real gold. Quick delivery. order received very quickly. beautiful bracelets. thanks to store! Very pretty fashion jewelry, nice, slightly loose sizing for 7 " wrist. Thank you! all ok, грамоские are decorations only. perfect! 17 days via e packet to germany, great. good protucts. Thanks a lot!